The third row of Marvel Cinematic Universe films will end in the Avenger 4 series that will air in 2019. But before entering there, Marvel will be presenting their latest film, entitled Captain Marvel. The figure chosen to play Captain Marvel is Brie Larson. This film became a film that was awaited by Marvel fans. In this film that will air will tell about the origin story of Captain Marvel. As we know, the ending of Avenger: Infinity Wars credits that aired some time ago, there was the last message from Nick Fury to Captain Marvel. This figure who is trusted to defeat Thanos who has collected the five infinite stones. Entertainment Weekly finally released several initial photos and also exclusively from Captain Marvel. 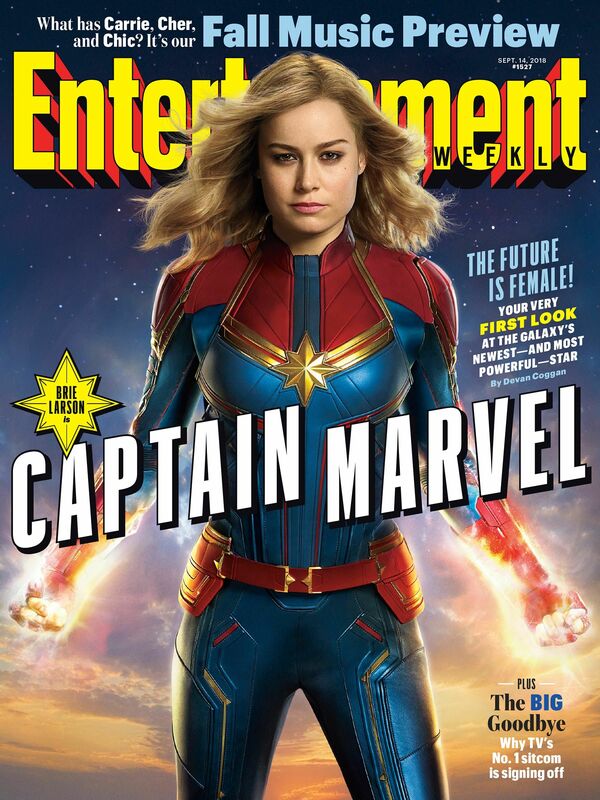 Brie Larson who became the main character in the film appeared in the cover section of the September edition of Entertainment Weekly magazine. Rather than curious, let’s just look at the latest photos! Brie Larson did look very suitable when wearing Captain Marvel costumes. He looks like a very tough woman who will beat Thanos! Not only Brie Larson appeared in the latest photo, several other characters such as Ronan The Accuser and also Korath in the Guardian of the Galaxy series were also present! Jude Law was appointed to play the role of Carol Danvers. He will play a role called Mar-Vell and is the leader of the Starforce Team. He will be the mentor of Carol Danvers (Brie Larson) before wearing the Captain Marvel costume. As additional information, the Captain Marvel movie is still telling about the origin story of Captain Marvel itself, where the character of Nick Fury will also appear at a young age. So for this episode, Captain Marvel still won’t fight Thanos. We’ll just wait if this movie is worth watching or not.